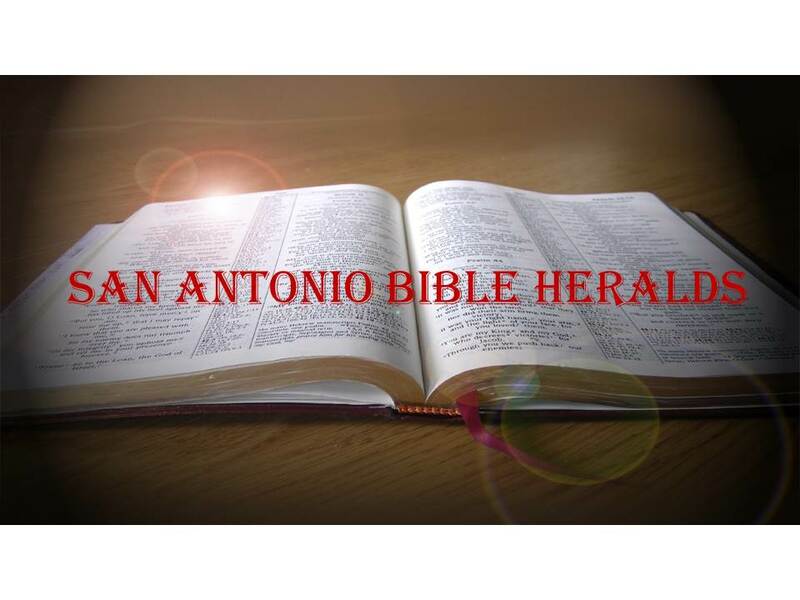 San Antonio Bible Heralds: Politics, Politics! A good example of this tendency is the latest race for the senate in West Virginia. There, one of the Republican candidates, Don Blankenship, reportedly used racial slurs against Mitch McConnell, the Senate Majority Leader, who is married to an Asian woman. And what was the apparent result of such behavior? His poll numbers increased and he shot up from third place in the primary race to first. Bad behavior, it seems, has its benefits! Now, it is obvious that the majority of those supporting such behavior are not believers. They are often found among those who are terrified of anything foreign and whose prejudices are confirmed and strengthened by such actions. There is a wide swatch of people in this country who see a foreign boogey man under every rock. The fact that Donald Trump was elected, in spite of the kind of man he is, demonstrates that people are willing to overlook immoral behavior (sometimes, grossly immoral at that), if their ears are tickled. The sad thing in all this, is that way too many professing Christians fall into the trap of behaving the way that others in the world do. Rather than centering their thinking on the Word, they are led astray by people whose interests have little to nothing to do with the kingdom of God. To them, the temporal benefits that may be accrued from having a particular individual in office, somehow counteracts their worldliness and immorality. Think of the kind of message you send unbelievers in your circle of influence when you're so willing to sacrifice your integrity and witness at the altar of expediency. We are all too often quick to be scathing in our denouncing of homosexuality, adultery and the like. But too many times, such denunciation is done about the sins in general or the "other" people out there who have little to offer us: the homosexuals marching in the San Francisco "gay" parade, are not likely to make decisions that will affect our lives. The fact is that God deposes leaders and sets up others (Daniel 2:22). If a particular individual is the leader of our country, he is so because God has determined that that is who He wants in that position. But that does not mean that we overlook their sin and patch it over as a matter of convenience. We are called to respect and submit to government. But John the Baptist lost his head because he was willing to speak truth to power. We may not have been called to speak directly to our leaders and denounce their sin as he was. But we certainly can do our work in the little piece of the world that God has given us. Speak the truth in love but without apology. In the end, the truth will set us free (John 8:32). 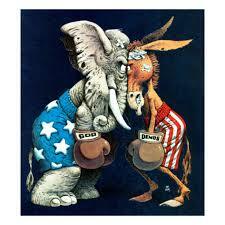 Mike - I am becoming increasingly loathe to become involved in political disagreements & endless discussions. I think many of us whose tendency is to vote Republican as the lesser of two evils really had that practice put to a deep test with Trump. (Though it seems to me Trump has exceeded my very modest expectations.) Nevertheless, Trump's boorish and sinful ways still looked (at least to me) choir boy deep compared to the Dear Leader wanna be, Queen Hillary. A vote for the vulgar Trump was a vote against the totalitarianism of a perfectly wretched, ruthlessly ambitious, and with apologies to Elizabeth Warren - "nasty woman." By the way, as it worked out, I did not vote at all as I recollect. Yup. I said it. Does that make me a responsible Christian - or does it indicate a need to repent? I don't know. Anyway, that said, I think it's difficult for many Christians to vote Democrat. Who wants to cast a vote for the party of baby death, transgender bathrooms and homosexual marriage? I don't. So, like many (perhaps) I am somewhat withdrawn from the world of politics. I am a little torn wanting to be a good citizen and realizing even a glimmer of hope that much godly good will be done in the political arena. Maybe I should become a Calvinistic Amish?!? David, thanks for your comment. I'm not of the mind that if you don't vote you're somehow not being a good citizen. After all, we have been given the option to do so or not. Either way, it is up to us to decide whether we should. Sometimes, as in this last election, the options are so limited that you find yourself in conflict with your conscience. I didn't vote this time either for that reason. One thing that I think we often overlook is what Martyn Lloyd-Jones said about the lesser of two evils: "the lesser of two evils is evil still." If the best reason I can muster to vote (or do anything else, for that matter) is that my option is the lesser of two evils, then I don't have very solid ground to stand on. In the final analysis I think this issue is similar to the clothing issue. You have to be persuaded in your own mind. There was a time when I believed that who you voted for was completely divorced from your convictions as a Christians. Now I know better. Blessings.